Let’s say you’re hanging out at your local Starbucks, using its free Wi-Fi. You come across something you want to purchase, so you input your credit card information, and get yourself something awesome. A few days later, you look at your bank statement, and realize that there’s quite a few more charges on there, and at places you’ve never been to or heard of. Unless, you just handed over your credit card info to someone, the chances are that your information was stolen. There are ways to avoid this enormous inconvenience and headache, while still being able to hang out at your local coffee shop. That’s where a Virtual Private Network comes into play. A Virtual Private Network (VPN) is a type of connection that “burrows” a tunnel through all this unwanted infrastructure and provides an almost direct encrypted connection between you and the Internet. It can completely bypass that annoying firewall, prevent that cafe hacker from stealing your personal data and give a false location on where you are. So now that you have a better idea about what a VPN is, you’ll need to know about some of the services that provide a VPN. The service that we are looking at today is ZenMate VPN. 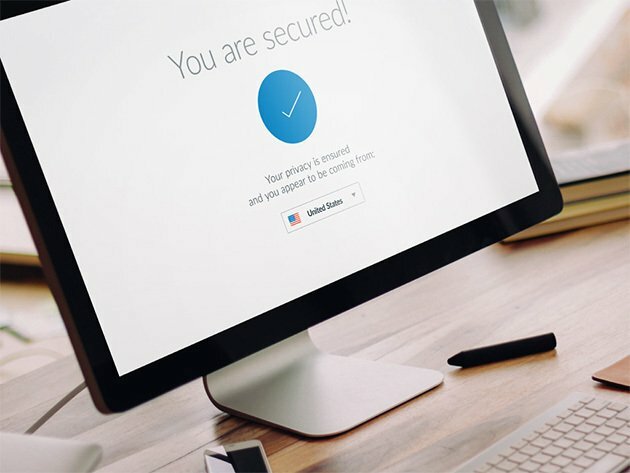 With a lifetime subscription to ZenMate VPN you will be able to keep your information private though a VPN service that works across multiple platforms (Windows, Mac, iOS, Android). If you want to learn more about ZenMate VPN, just head over to its website, and check them out. In the meantime, if you’ve liked what you’ve read about ZenMate VPN, visit the AndroidGuys Deals page and sign up for only $49.99. Normally, a lifetime subscription to ZenMate VPN would run you about $840, but with this deal, you’ll save around 94%.